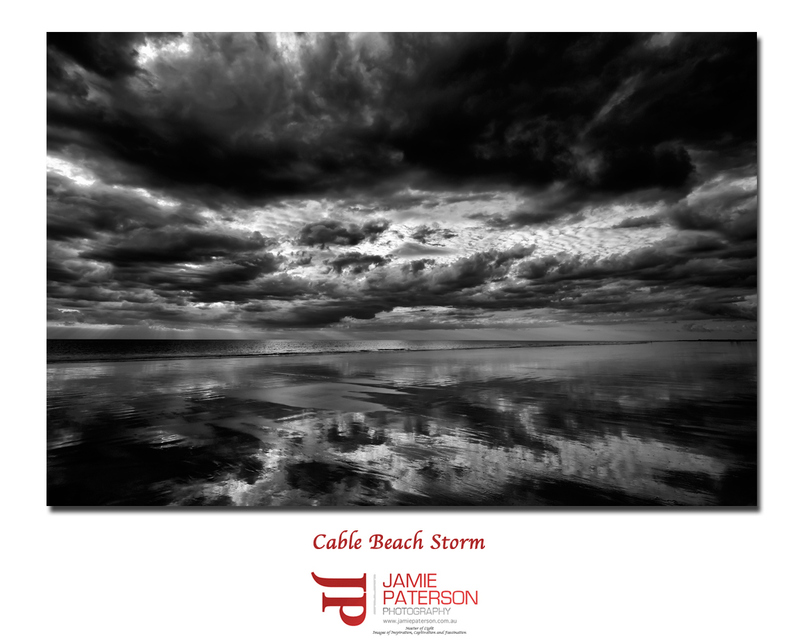 This entry was posted in australian landscape photography and tagged australian landscape photography, broome, broome storm, cable beach, cable beach storm, coastal photography, landscape photography, landscape photography australia, nature photography, seascape photography. Hey Mark. Thanks mate. Did you get what you set out to get this weekend? Thank you very much. Its always nice to hear from you. Thanks for the fantastic comment Chloe. I hope you feel better soon. I think you could say that I did get it mate! Yes I think you well and truly smashed the mission!!! Hi Adrian. Thank you very much. I’m definitely going to print this bad boy up nice and big. How was Mandurah? Did you get any good shots? Wicked shot Jamie, definately a spot on blog post title. Thanks Andrea. When are we going to see some more posts from you? Nice work Jamie, very emotive. Hi Andrew, thanks mate, its probably one of my more favourite shots from the year so far. Hey Tim. Are you back off the barge yet? Not yet, get home on the 17th July. My camera hasn’t seen daylight for 5 long weeks! Hope i still remember how to use it! You’ll be right mate. There is always auto mode!